OUR SPRING CONCERT will be 7:00 PM, Saturday, April 13 at the Barre Opera House. MARK YOUR CALENDAR NOW. We are very excited to announce that The Pressley Girls will be joining us for our spring concert! The Pressley Girls were born and raised in Brasstown, North Carolina. They are an authentic Appalachian duet that focuses on tight harmony and lyrical meaning. The Pressley Girls perform a wide range of music including Folk, Bluegrass, Gospel, and Country. Corie Pressley plays the guitar and mandolin while singing harmony with her sister, Katie, who plays the fiddle and piano while singing lead. Here’s a sample of them playing Katie’s original tune “Spiderweb Canyon” with our own David Kaynor. 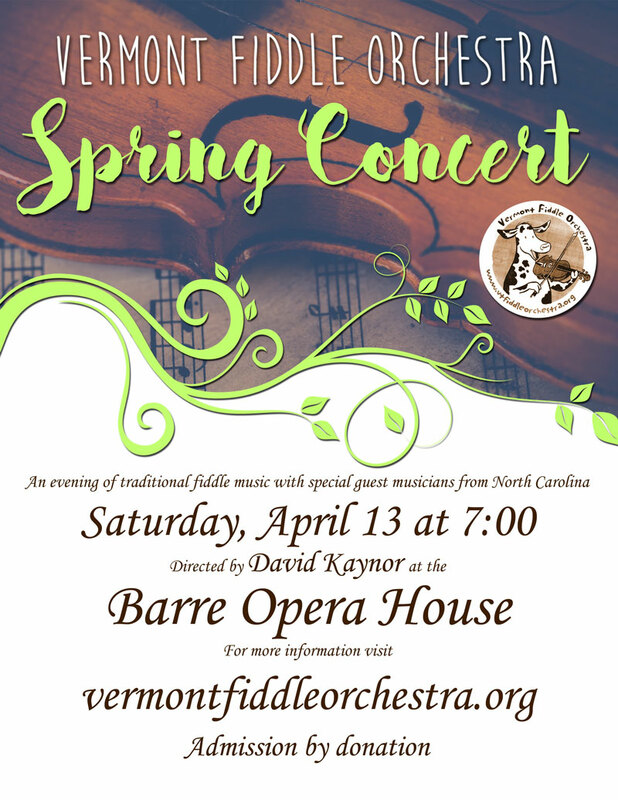 The Orchestra would like to thank the Vermont Mutual Insurance Group and Northfield Savings Bank for their generous grants which are making it possible for admission to this concert to be by donation. Throughout the spring, summer and fall, the VFO or groups of members play for events throughout the region including fairs, benefits and gatherings of many kinds. These will be posted here as they are confirmed, so check back often. If your organization would like to have us play for your event, contact us.